Be the first one to the finish line with Sportaid! Our professionals will assist you in making the best choices for price and performance allowing you to compete with a passion for victory. Our performance collection of racing wheels, tires and parts from quality manufacturers lets you enjoy the best in comfort, performance, and value. At Sportaid.com, you can choose from ergonomically designed racing wheels made to compete and win as well as tires and parts from reputable name brands. From high performance Racing Handrims to Racing Tires and Racing Wheels, we possess a complete collection of wheelchair racing products to choose from. For an exhilarating experience and a smooth ride to victory lane, browse through our quality selection of High Performance Wheelchair Racing Wheels, Tires & Parts below or feel free to call 1-800-743-7203 for expert assistance. With savings up to 33% Sportaid offers the best value on Wheelchair Racing Wheels, Tires & Parts! Rely on Sportaid for High Performance Wheelchair Racing Handrims, Wheels, Tires and Parts for Your Next Big Win! 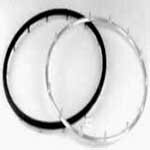 Racing Handrims: Whether you choose spoke racing handrims or Corima Disc Racing Handrims, Sportaid assures you excellent performance and comfort. With our hand selected product line up and staff of experts, you will gain confidence and may also learn to use your high performance upgrades safely. 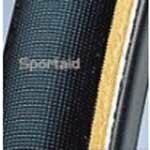 Select the best one from top manufacturers and save big with Sportaid.com's everyday low prices. Racing Wheels: To provide you the edge to compete and win, Sportaid offers the best and broadest collection of wheelchair racing wheels available online. 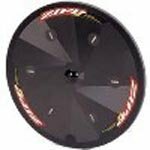 Our innovative and high quality products come from reputable brands and feature the Front COMP XF Racing Hub, Wheelchair ZIPP Disc Racing Wheels 700c, Tri-Spoke 1/2" Axle with Inside Bearing, Corima Rear 4-Spoke Racing Wheels, and various others accessories. Racing Tires: Sportaid also offers a full line of inexpensive wheelchair racing tires from great manufacturers like Vittoria, Continental Comp, Tufo Jet Special, and more. Browse through our hand selected line up of Racing Tires or feel free to call 1-800-743-7203 for expert assistance. Be the best you can be by choosing Sportaid as your Sports Equipment needs supplier but remember, It's not what you push...it's what pushes you! Whether you are a new customer or someone who has been with us for a while, we guarantee satisfaction. After over 25 years in the business helping people find Wheelchair Racing Wheels, Tires & Parts at the lowest prices, we continue to lead the industry! We carry a large selection of wheelchair cushions, wheelchair parts, and wheelchair accessories. We are capable of beating any competitor's advertised price, just call! Our customer service staff has over 50 years of experience, plus over 90 years of combined wheelchair use experience. We look forward to working with you!